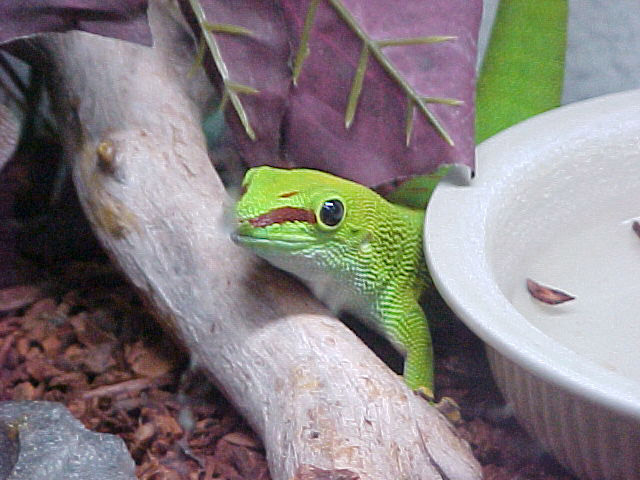 I have had my day gecko for 5 years now and never had a problem with her (I think). But in the past four or five days, she no longer will walk on the walls of her cage. Lighting, humidity and all that are good. She is still green as can be. I cleaned the glass with soap, water and windex in case there was a greasy film or something on the glass, but still no avail. She will go up, then slide right down. Still is interested in food, but may be tapering off her interest today. I offered superworms and crickets (all dusted), but she didn't accept them.